Christmas and Easter are the greatest feasts of our faith, though Easter is, without a doubt, the greater of the two. Although the commercial world and popular religion pay more attention to Christmas, it is Easter that takes priority. However, there is no denying that these two feasts form an inseparable link. At Christmas, the light enters our world, but it’s only at Easter that the light actually achieves its objective and defeats the powers of darkness. At Christmas the light appears, but on Good Friday the darkness seems to have extinguished it, but today we know that God’s light really is more powerful than the darkness. We have celebrated this truth in the ancient ritual called the Service of Light. At the beginning of this service, we all waited in a darkened church for a single candle to be brought forward, up the main aisle. And from that candle, other candles were lit until the entire church was filled with a beautiful glowing light. 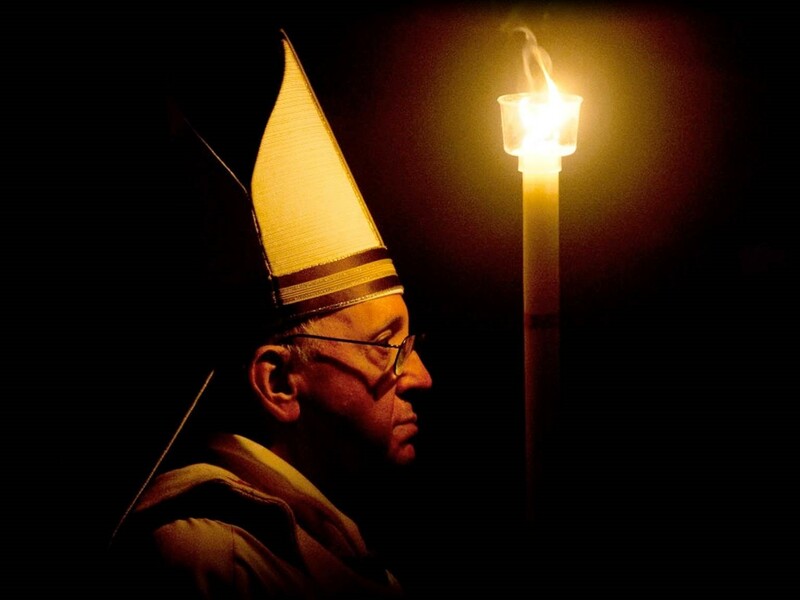 That Easter candle, which burns here before us in the full light of day, is a reminder to us of the light which pierced the darkness of that first Easter morning. It is a symbol of the brilliant light that emerged from the tomb while the world was still dark and asleep. When all had seemed dark and hopeless, Jesus burst forth from the tomb alive once again, a light that illuminates and makes all things new, a living light that even the sunrise could not rival. He is life itself, which shatters death and brings life to each one of us. Sometimes we too despair. We experience dark days, disappointment and disillusionment. There is no denying that there is a darkness that continues to surround us; a darkness that continues to trail us. The darkness which creeps and lingers over your life could be an addiction or maybe some past mistakes, failures, wrongs, and negligent choices that vex you to no end. Darkness can also be a constant temptation to succumb to guilt that hangs on you like the albatross that hung on the neck of the Mariner. Darkness can be fear, fear that consistently hinders you from moving forward and from the good works that are still in the plans but never constructed nor completed. Darkness does not have to be the evil acts that harm others but also the acts that fail to stop evil. The good, the care, the love, and restoration that people need in their lives may never come to fruition because of the darkness that holds them back. But today, we are reminded that as the Lord broke free of the darkness of Good Friday, He, the Light of the World, will invade the shadowland and conquer the darkness in your lives. The “end” of the darkness is eternal, an eternal light of truth that stands ready to pierce the darkness like knife through butter. It may not seem that simple, in fact, it is gradual and may take time. It may take us a while and the battle is long and fierce. We may still have to walk through the valley of the shadow of death, but we already see the blazing light at the end of the tunnel, which marks the end and the limit of darkness. We are therefore called as Christians to endure. The end of darkness is Christ who is not bound by time and not limited by such an earthly final act as physical death. He is the light. But now, we have to contend with the darkness and all the questions it raises. It feels impossible to believe in God when your life is surrounded by darkness. The darkness doesn’t mean God’s abandoned us; it just means that we can’t see what He’s doing. The Lord is always doing something far bigger than we can see at the moment. In the silent interior of the tomb, where no human eyes can pierce or envision, the Lord performs His greatest work of all. Tradition tells us of how He descends into the depths of the shadowlands of death, breaks down the gates of the prison called Hades, and rescues the righteous among humanity from the clutches of death itself. It is in this quiet moment of impenetrable silence that the Lord opens the gates of Paradise to those who had been waiting for this moment of redemption. To the world, nothing seems to be happening in the silence of the tomb. But for us Christians of faith, the Lord is overturning, overcoming and defeating the forces of darkness by His own death and resurrection. This is the reason why Easter is a celebration of hope and faith in the midst of darkness. Hope is about focusing not on what we can see, but on what God will do. In that moment of crisis, when God seems absent and our plans fall apart, that’s the moment we need to hold on the tightest. We may often wonder why He does not remove the darkness entirely. God could replace our fear in an instant. But instead, He often uses the darkness as a training ground for replacing our fear with faith. If He is the Light of the World that has conquered the darkness, why do we continue to experience darkness in our lives? Notice that the candle light is only perceptible in a darkened space. In broad daylight, the light of a candle would usually be blown out. But in the dark surrounding night, the light of the candle shines out as a challenge to the dark, refusing to be defeated or silenced. Like a good parent, God is not just helping us through what we’re facing now. He’s also preparing us for what’s to come. When Jesus shows up in our most challenging moments, His light overcomes any darkness. He brings healing for the sick. He offers joy amidst heartbreak. He brings peace into the chaos. Jesus’ resurrection is proof we can move forward with Him, overcoming every darkness. In this Mass, we will receive several new members into the Church, uniting them to Jesus in baptism, confirmation and Holy Eucharist, filling them with God’s light by giving them sacramentally a share in Jesus’ death and resurrection. And now in this Mass you and I will renew the promises of our own baptism, the promises that our parents and godparents made for us years ago, the majority of us when we were still little children. It is here that we would relive and re-enact the Easter story, the tale that has two halves; where shame would be turned to glory, despair to hope, grief to joy, fear to love, darkness to light and where death would give way to life. This is the day, Christ burst the chains of death. This is the day, Christ battled the powers of death, and won. Christ is Risen, Alleluia! He is Risen Indeed, Alleluia!